If Your Storage Is Running Out With Photos, Videos Or You Have Small Data Pack And You Are Looking For Low MB Games, Then You Are On Right Page. Today, We Are Sharing Top 20 Best Android Games Under 10MB. 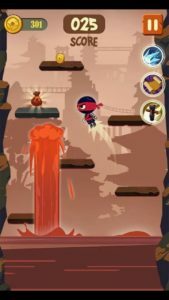 Brave Ninja is an arcade style game for Android in which your task is to help the ninja in completing missions. This small size game features over 50 amazing challenging levels. 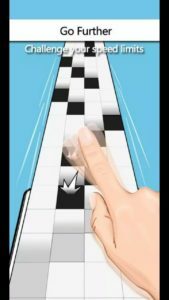 At each level of the game, you have to complete unique tasks such as; tilt screen, move left or right and avoid obstacles, avoid flying darts, and many more. Collect coins, buy power-ups, and complete missions like a pro. The small game features 80 levels, it’s a great thing. You should give it a try. Download – Here(Google Play Store). Size – Less Than 10 MB. Also, see – Best Pokemon games for Android. Robot Wants Kitty is among top new best Android games under 10 MB that features amazing game modes and even you can create your own. 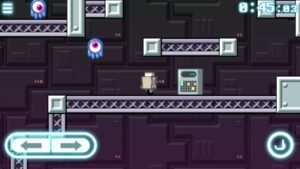 It is a fun platformer game in which you play as a robot and the goal is to get Kitty. You collect tools like jumping, shooting, double jump and more to slay down evil monsters. It’s really a great addictive fun game and features easy on-screen controls. Download – here(Google Play Store). Friction is a new simple yet addictive Arcade game for Android and one of the best Android games under 10MB 2018. 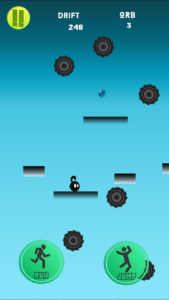 It’s a run and jump game in which the player controls a unique character(shadow), collect orbs and avoid traps. Many types of obstacles are there to throw you out of the game. Can you survive in the Prismatic world? Download the Friction game – Here[Google Play Store]. Modern Snipper Is One Of The Best First Person Shooter Game. Game Size Is Just 10 MB. In This Game, You Have To Shoot Your Enemies With Gun Before They Kill You. There Are 50 Missions Available In This Mini Shooter Game. 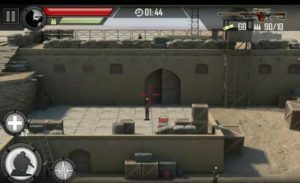 Game Comes With Great Graphics, 6 Unique Base Where You Shoot, And 7 Weapons To Choose. About The Game – Size – 10 MB, Price – Free, Mode – Offline. You Can Download This Game From Here. In Ultimate Mission 2 Game, You Play As Super Hero Who Destroys All Aliens With Powerful Weapons. The Game Size Is Just 8 MB And It Is A Great Time Killer Game Too. At Last Of The Wave, You Have To Fight With Boss. Game Controls Are Easy To Use. Awesome Weapons Like Machine Gun, Laser Gun, Firearm, N-Bomb Are Featured In This Game. Collect Energy Balls When You Kill Enemies. 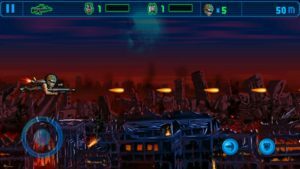 About Ultimate Mission 2 – Size – ~8 MB, Price – Free, Mode – Offline Game, You Can Download This Game From Here. SpeedMoto Is One Of The Best Under 10MB Racing Game For Android With 3D Graphic Effect. Size Of This Racing Game Is Under 5 MB. Game Controls Are Easy To Use. 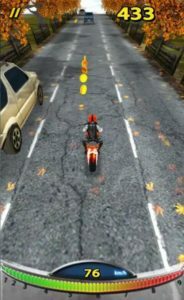 You Can Play With Bike, Car In This Racing Game. Just Swap Your Phone To Control Vehicle Direction. Accelerate Your Vehicle By Taping On Screen. In This Game, You Ride The Motorcycle With Shuttle Outskirt, Snow Mountain, Forest And More Places. This Game Is Full Of Fun. About The Game -Size – 4.32 MB, Price – Free, You Can Download This Racing Game From Here. With Over 100 Million Downloads, 4.5 Rating Dr. Driving Is The Most Popular Game Of Racing Category. In This Game, You Have To Complete The Task Of Parking, Control Your Car Safely. Get Free Gold When You Finish Mission Before Opponent. 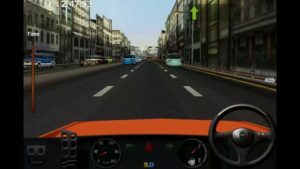 Dr. Driving 2 Is Also Available But Its Size Is Not Under 10 MB. That’s Why We Mention Dr. Driving In This Game List. About The Game – Size – 9MB, Price – Free, Mode – Offline Racing Game, You Can Download It From Here. Next Post:The Grass War 2, Superb Pokemon Game For Android?